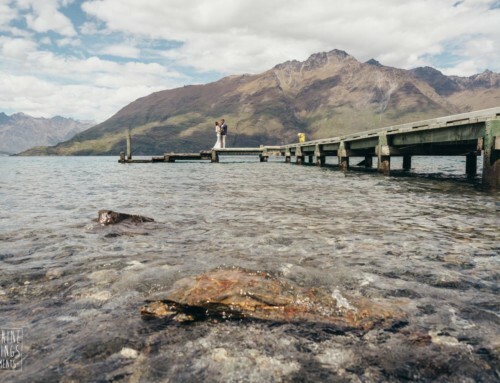 This Cecil Peak winter wedding was beautifully simple and stylish. 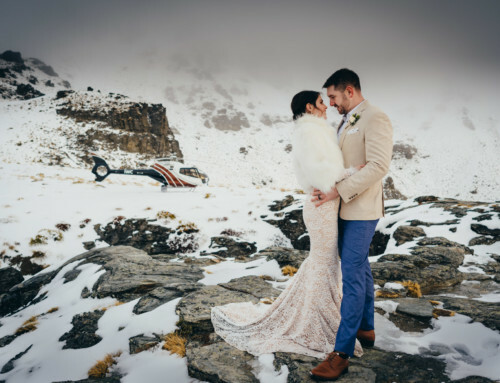 The couple flew up to Island Spurs on Cecil Peak for their intimate ceremony with The Remarkables as a perfect backdrop. 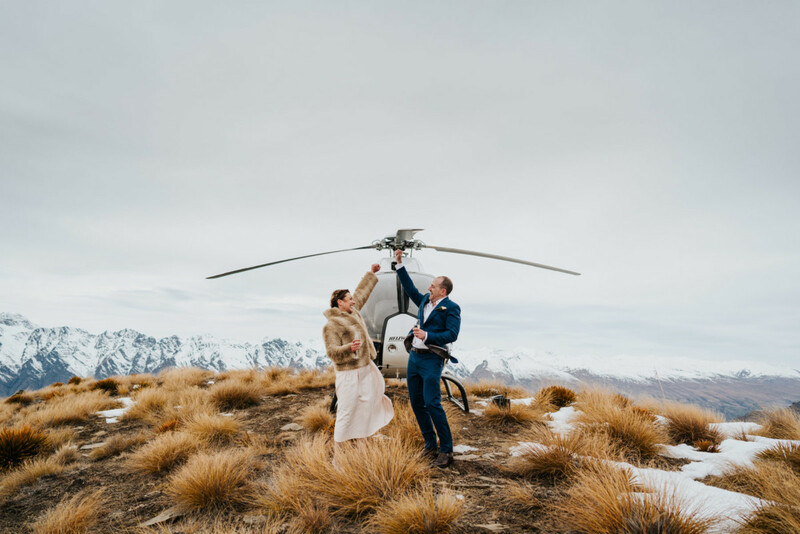 High fives in front of the helicopter summed up a fun elopement wedding with lots of laughter! 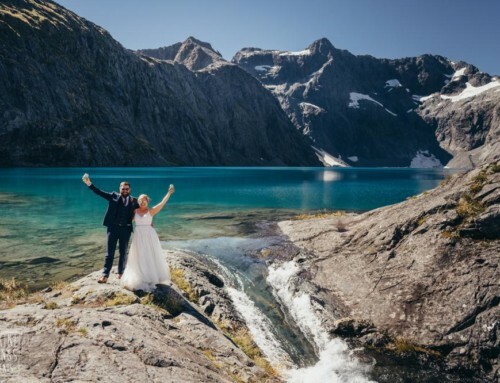 Victoria and Brett booked our Cecil Peak Single Landing wedding package. This includes 1 hour photography, planning, coordination, celebrant, bubbles and helicopter flight. Victoria wears a complimentary fur jacket from Sunshine Weddings.